How did the Cabin Air Filters obtain the Certification? The ASP: 08-02/101 Certification Standard is targeted to in-cabin air filter products that are scientifically proven to reduce exposure to asthma and allergy triggers. The Certification Standard utilizes an algorithm of proprietary and recognized scientific techniques to assess in-cabin air filters for their ability to reduce allergenic and irritant materials. Product samples that pass certification testing are granted a certificate stating that the particular in-cabin air filter item meets the requirements for the asthma & allergy friendly® ASP: 08-02/101 Certification Standard. Proved not to shed its fibres above established limits while in use. Mercedes-Benz USA then obtained the certification after the products they sent for testing passed the tests and met the scientific requirements. Mercedes-Benz has always worked hard to bring the highest quality to their customers by investing in cutting-edge technologies. 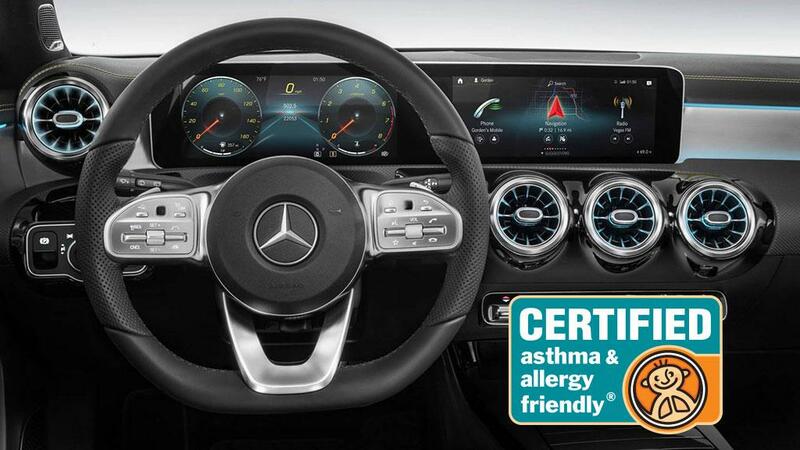 As their goal is to bring premium quality products to their consumers, certifying their in-cabin air filters as asthma & allergy friendly® was a coherent step moving forward.